New Home in Fayette County that will be ready in time for Christmas!!! Great schools and a lake community! Franklin floor plan with so much to offer!! Mediterranean style home with courtyard and three car garage! Chef&apos;s kitchen with separate cook top, stainless appliances, double oven and pendant lights over the island! 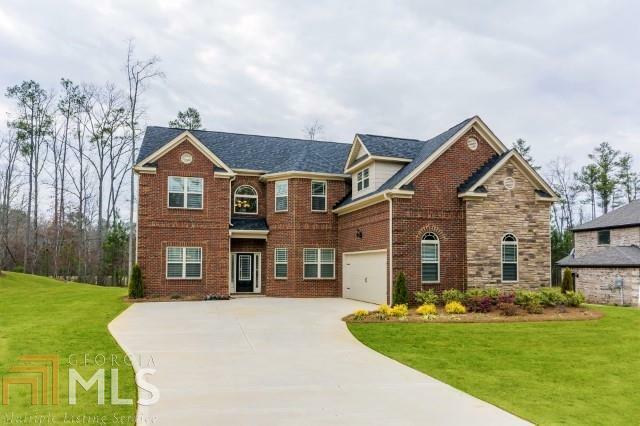 Standard options are granite counters, coffered ceilings in dining room, hardwoods in kitchen, breakfast area and mud hall. Master suite has a fireplace in sitting room and bayed windows. Secondary bedrooms have a jack n&apos; jill bathroom. Acre lot, four sides brick, covered patio, sprinkler system, side entry garage is standard in Elysian Fields.